In addition to being a support center for families, communities and group leaders, FunTeam also has some grant programs in place to help support programs that align with our initiatives. The grants are divided into specific categories depending on the intended use of proceeds. *After filling out the application you can submit the file at the bottom of the page. This grant is available to existing FunTeam's & other community groups that are interested in hosting a sanctioned FunTeam Soccer Tournament. The tournament format must align with FunTeam's vision & principles in order to receive funding. The grant is in the amount of $500. This grant is available to any community group or individual who is interested is hosting a FunTeam Try-athlon. The grant is in the amount of $500 will go towards prizing and other costs associated with the event. The Mini Try-athlon is a great way to introduce your community or school to FunTeam and is a great addition to community get-togethers and school functions. The Mini Try-athlon program consists of various stations that children and youth play their way through. FunTeam provides the equipment needed for the stations, colourful instructional posters to accompany each station and a $75 subsidy for healthy snacks and prizes. This grant is available to existing FunTeam groups or other community groups that are interested in hosting a one-day event. This event could be in the form of a wind-up tournament, a barbeque fundraiser, or any other event that allows families and communities to get active together. The grant is in the amount of $500.00. This grant is available to FunTeam Groups who are looking to purchase or rent equipment that will help support their program on a long term basis. This would include things like nets, balls, pucks, water bottles, pinnies, etc. This grant also supports FunTeam Groups with facility rentals and development. This grant is in honour of Nicky Sereda who is a FunTeam board member, as well as one of our most dedicated Group Managers. In 2005, Nicky was recognized by the RBC Local Hockey Leader program. This award recognizes community leaders from across Canada who have dedicated their time to supporting grassroots hockey. Nicky was one of thirteen people chosen from over 3000 nominees throughout Canada. Nicky generously donated a portion of the funds from this award to FunTeam Alberta. It was from this that FunTeam created the RBC Sereda Hockey Event Grant. 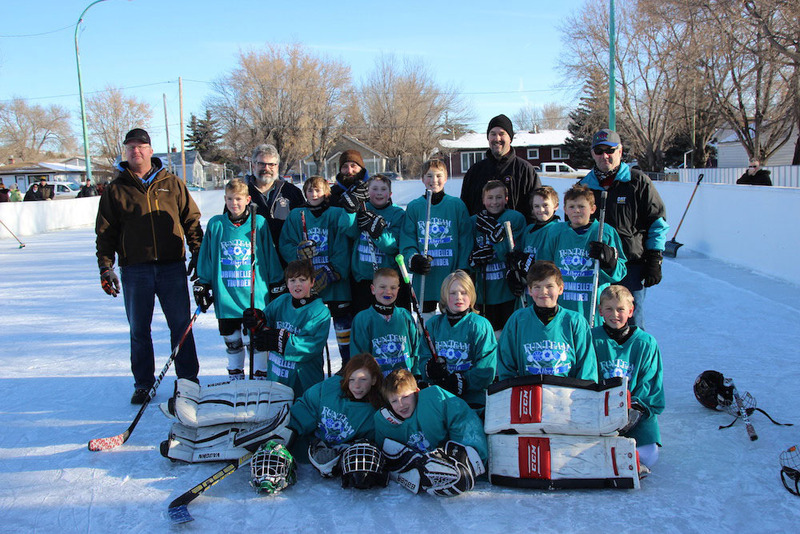 FunTeam Alberta awards $500 annually to a local community/organization in Alberta who are interested in coordinating a recreational hockey event for local youth.